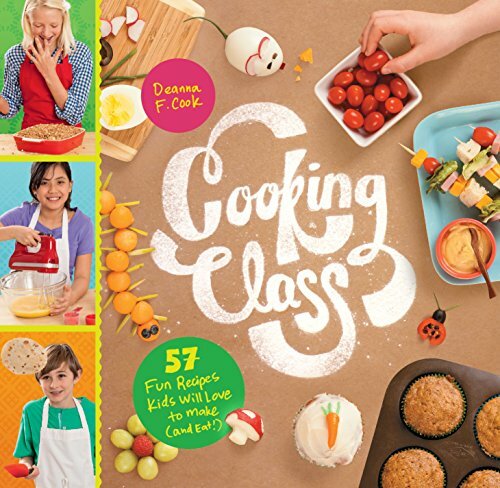 Do you know a kid who likes to cook? They will probably enjoy their own set of real cooking tools. 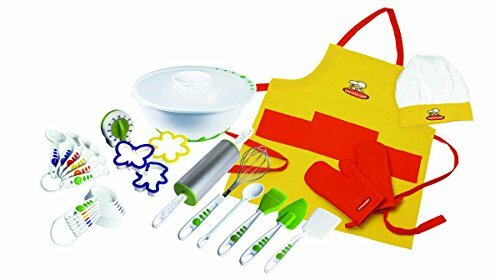 This 27-piece Foundation Set by the Curious Chef includes an apron and hat, 2 mitts, cookie cutters, measuring spoons and cups, a mixing bowl, rolling pin, cookie turner, whisk, spoon, pastry brush and spatula. The daughter of one of my friends received this set and has been happy with the quality. The manufacturer recommends that it is appropriate for ages 5 and older, but many people are using it for 3 and 4 year olds, too. This would be a cute gift to give with a cookbook. 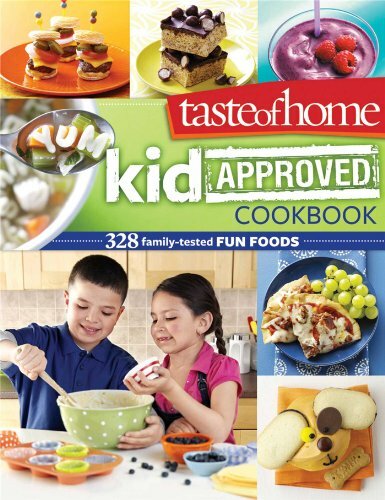 Two options, Cooking Class and Taste of Home Kid Approved Cookbook look to be well-reviewed and provide guidelines for age-appropriate activities for kids in the kitchen. Bon appetit!